gio ponti | owl's house london. The wonderful Musée d’Orsay, Paris. Catch the Dolce Vita exhibition if you can, (until 13 September) highlighting the Liberty, Futurist and Rationalist periods of the early twentieth century in Italy, with works by Carlo Bugatti, Carlo Scarpa and Gio Ponti. Bellissimo. This entry was posted in bits + pieces. 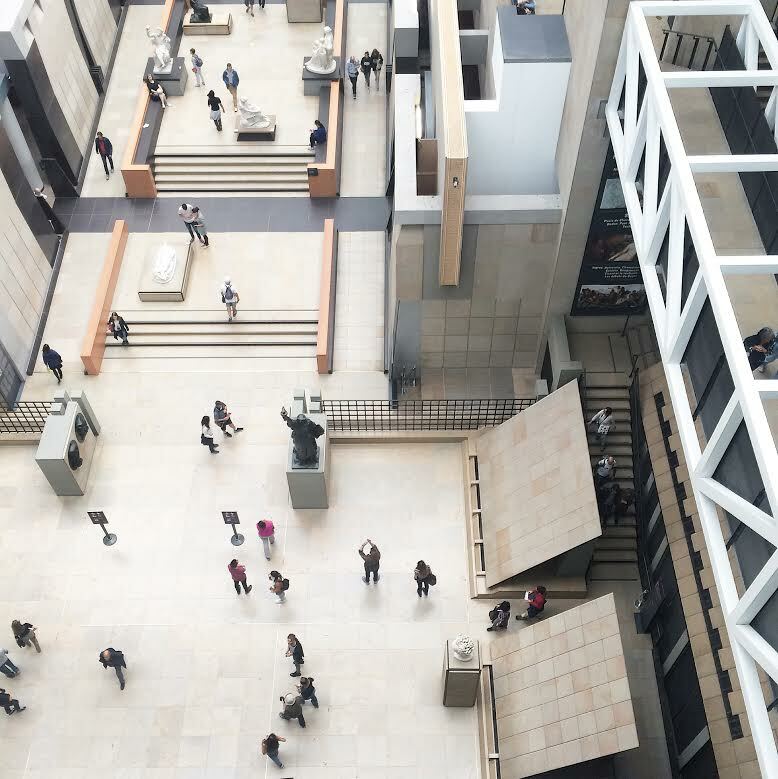 and tagged art, Carlo Scarpa, exhibition, Futurist, gio ponti, Musee d'Orsay on September 1, 2015 by owls house london.. 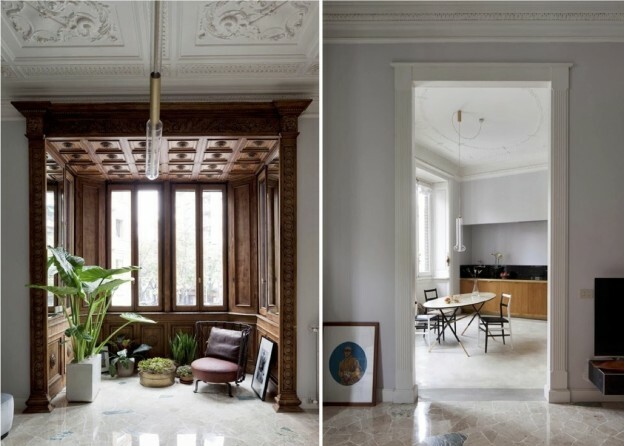 This 1920s Milanese apartment is an eclectic mix of late Art Nouveau with nineteenth-century embellishment; and colourful, contemporary furniture mixed with neo-Gothic inspired, monochromatic artwork. 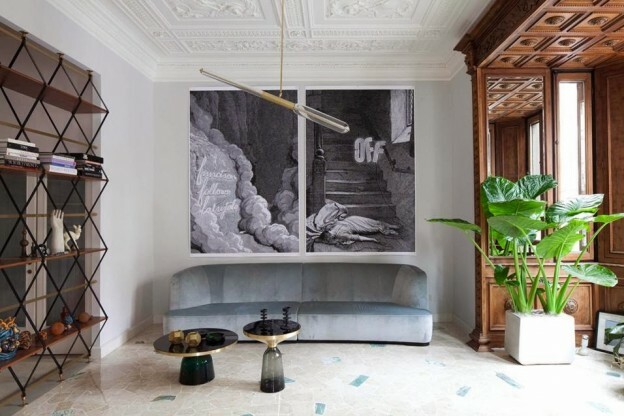 Beautiful, highly polished Palladian marble floors with touches of blue inform much of the interior’s colour palette, with palest blue walls and a curvaceous, powder blue velvet sofa. 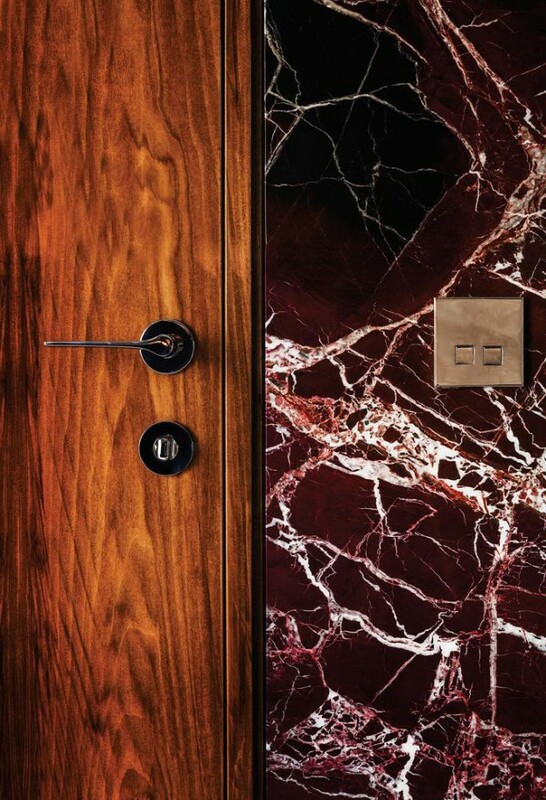 Furniture is sophisticated, elegant: blown glass and brass Bell Tables, an iron, wood and brass screen, Gio Ponti‘s Superleggera chair, a delicate, oval dining table of marble, wood and metal. The ornately carved, wood-lined bay window adds another level of sophistication and a connection with the outside. It is an interior that is infused with personality. 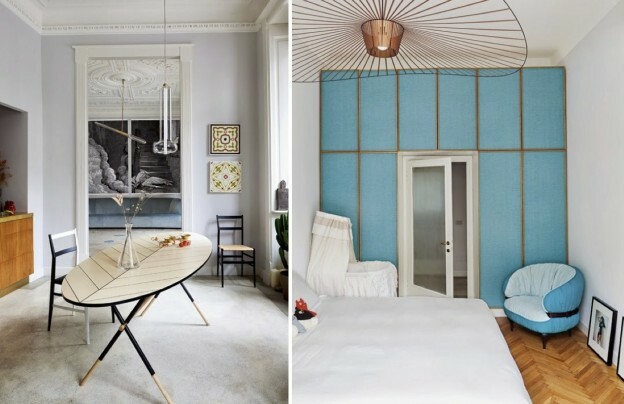 I find the vivid, cerulean blue master bedroom, with its Vertigo pendant light quite beguiling. What about you? This entry was posted in wonderful spaces. 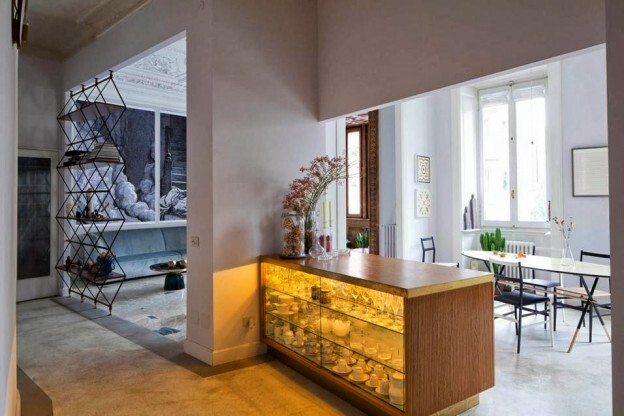 and tagged Art Nouveau, Corriere della Sera, design, eclectic mix, gio ponti, interior, Palladian marble floors, powder blue velvet, Superleggera, Vertigo pendant on January 20, 2014 by owls house london.. Architect, craftsman, editor, writer, set designer and industrial designer. Founding editor of Domus magazine. 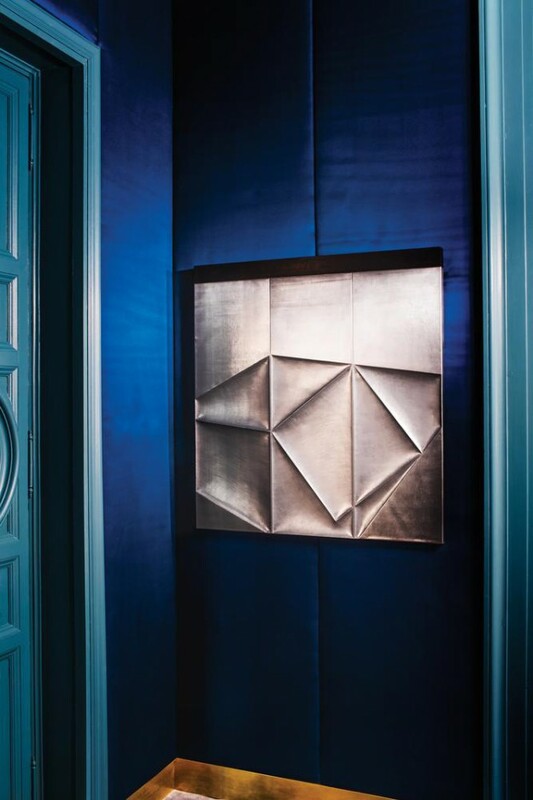 Gio Ponti (1891-1979) has long been a design hero of mine, and how wonderfully relevant his designs are even today – all geometric patterns and blue-greys, and all imbued with exuberance and life. 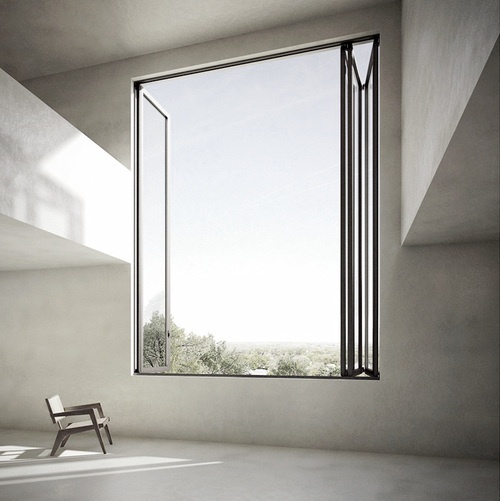 ‘The architect must imagine for each window, a person at the sill, for each door a person passing through’. 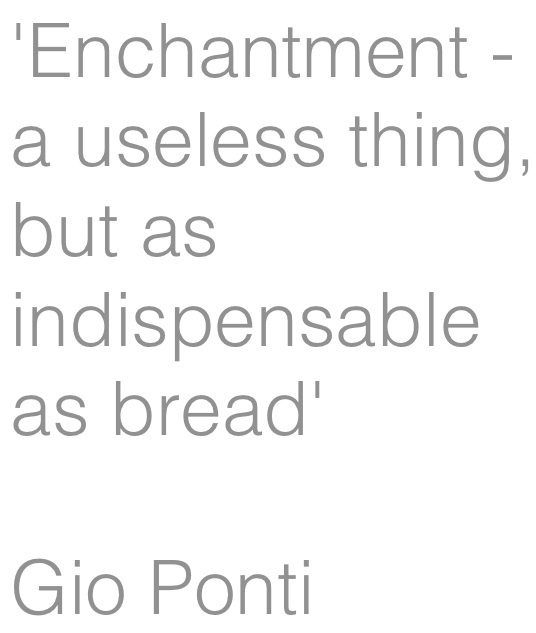 ‘Enchantment, a useless thing, but as indispensable as bread’. Ponti originally trained as an architect and entered industrial design by developing products for Richard Ginori, an 18th-century ceramics manufacturer in Florence, for whom he later became artistic director. 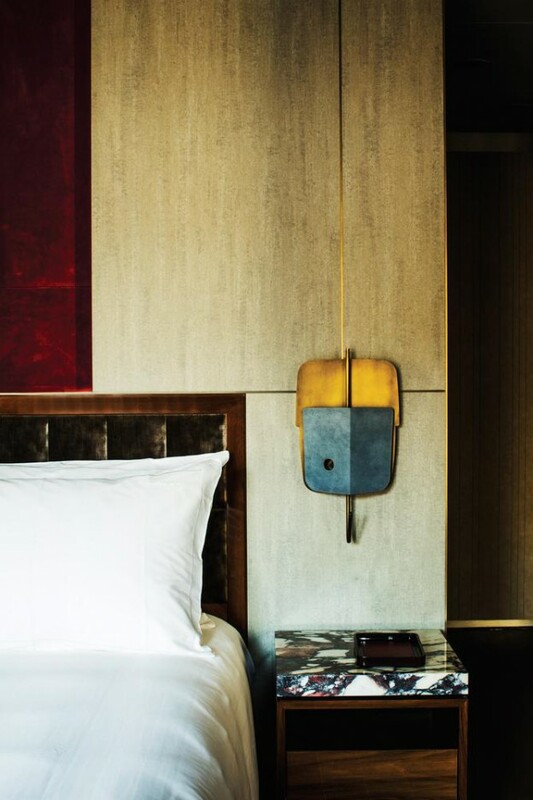 As an architect, Ponti’s designs embodied and embraced every era in which he worked. The classical style of his earliest houses in the 1920s, evident also in his designs for Ginori, were heavily influenced by Andrea Palladio’s 16th-century villas. In the forties he designed costumes and sets for the opera and ballet, as well as gleaming chrome espressomakers for La Pavoni. He also started another magazine, Stile. After the war he helped rejuvenate Italian ship travel with a commission to fit out four ocean liners. 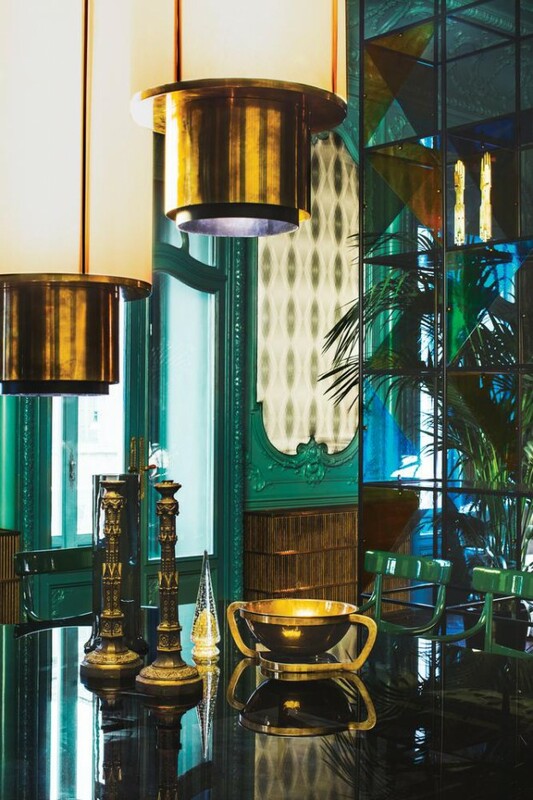 In the fifties his collaborations with Piero Fornasetti resulted in a series of surreally beautiful residences in Milan. In addition he built the iconic, modernist skyscraper, the Pirelli Tower (1956) in Milan, the Villa Planchart (1953-57) and the Villa Arreaza (1956) in Caracas, Venezuela, which are among the most exquisite houses of the modernist period. There is a wonderful article written by Ponti himself describing the Villa Planchart and his design process, in an archival issue of Domus (read it, here). Ponti used his writing and editorial roles to champion designers and artists whom he admired, including Carlo Mollino, Piero Fornasetti and Lucio Fontana, and in the process contextualised Italian design within contemporary culture. He always encouraged young designers, even when they challenged his own thinking. Among them were Alessandro Mendini and Ettore Sottsass, who were at the forefront of the 1970s post-modernist movement, which emerged as an alternative to modernism. ‘It is neither necessary to be a dogmatic follower of modern design or a dogmatic follower of traditional design to be modern and traditional, nor even to be preoccupied with all of this’. This entry was posted in design heros. and tagged architecture, design, design museum, Ginori, gio ponti, Villa Arreaza, Villa Planchart on January 4, 2013 by owls house london..